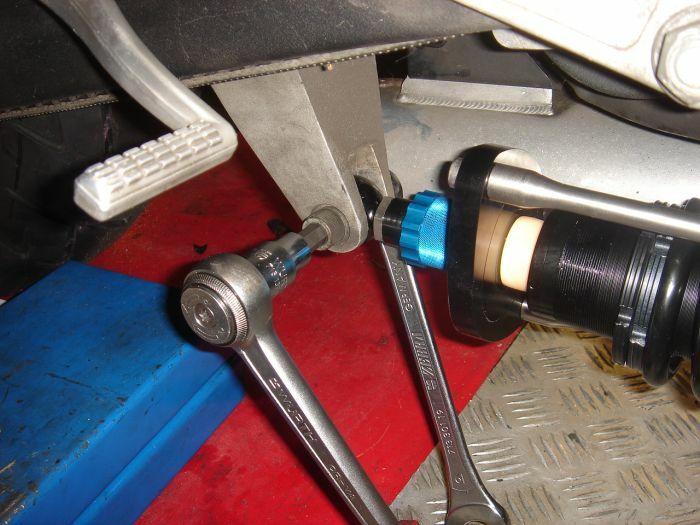 Remove Hose clamp and mounting clamp from the old shock absorber canister. 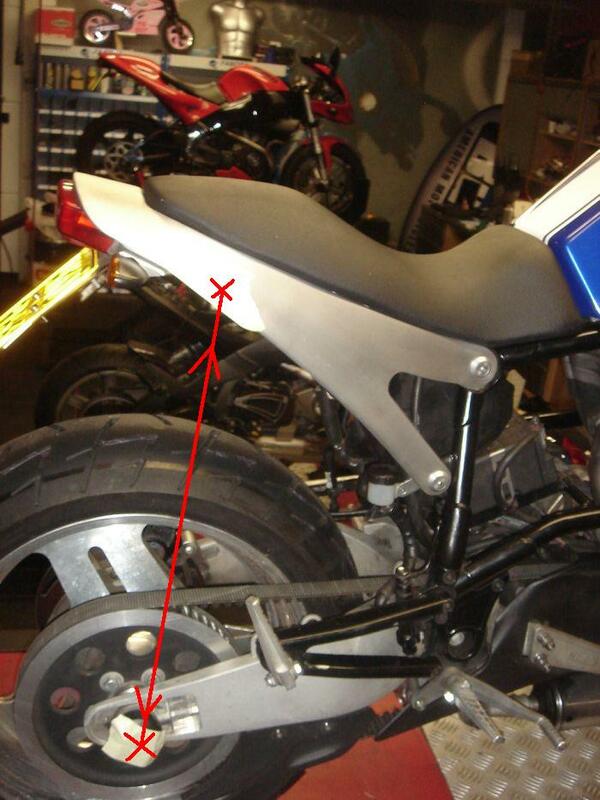 Place a piece off masking tape on tail section and swing arm, and measure the ride height off the bike, note this down you need it later when you mount the new shock, so you have the same riding height. 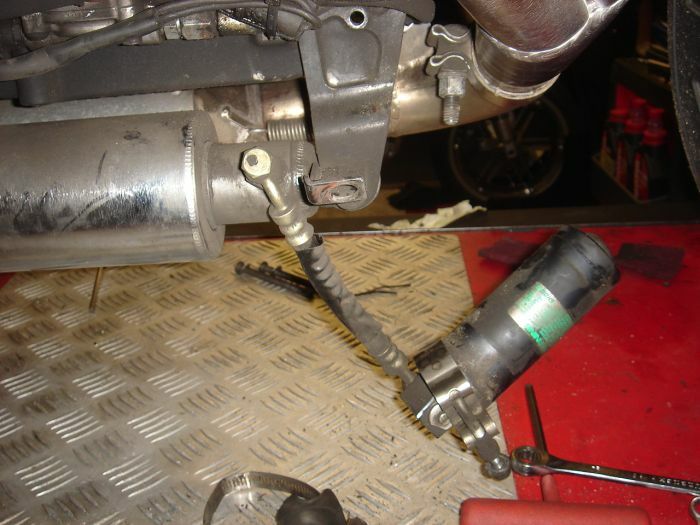 Make sure the bike is secure so it is safe to take the weight off the rear shock absorber. 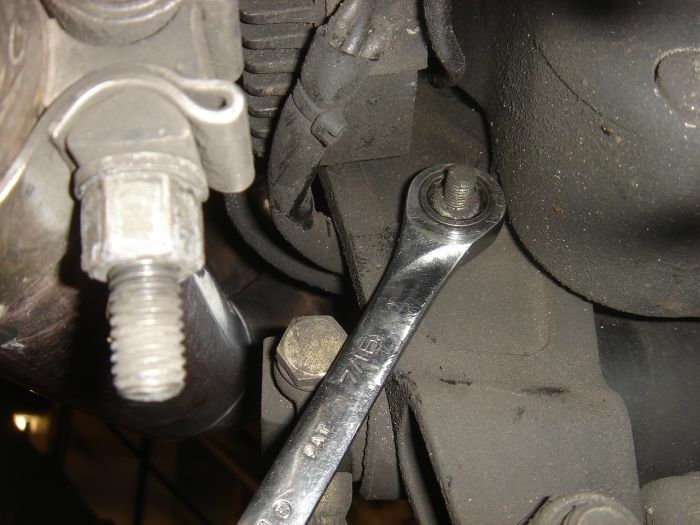 Unscrew the shock mounting nuts, and feel if the bolts are loose, otherwise lower or raise the jack/ hoist/ mini lift so the bolts are free off tension and can be pulled out. 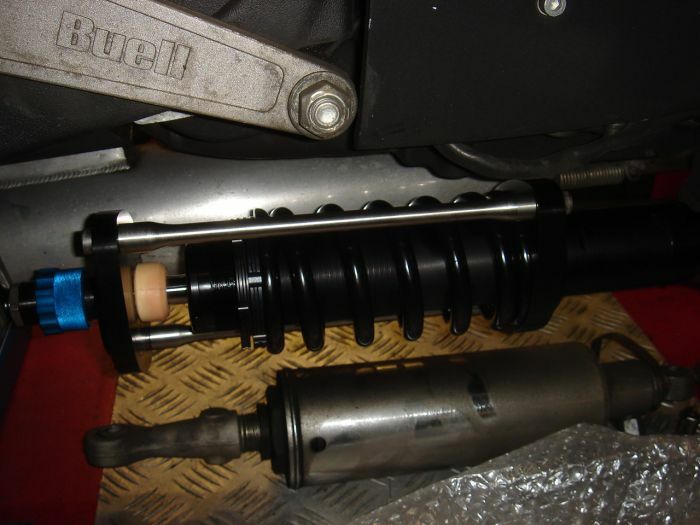 Inspect the eye to eye length of the old shock absorber, and measure the Twin Motorcycles shock length, you can change the length +/- 5 mm MAXIMUM. 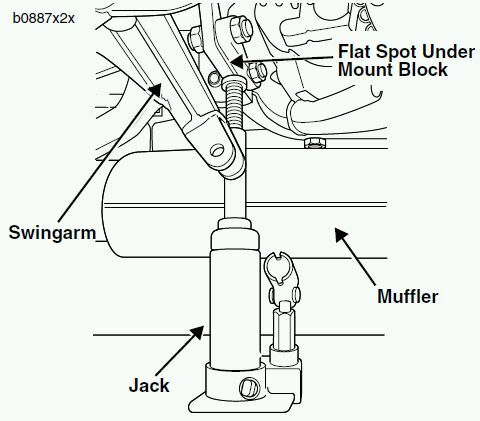 Mount the Twin Motorcycles shock absorber, and put the bolts in and put the nuts on , don’t forget the washers and spoiler bracket if needed. 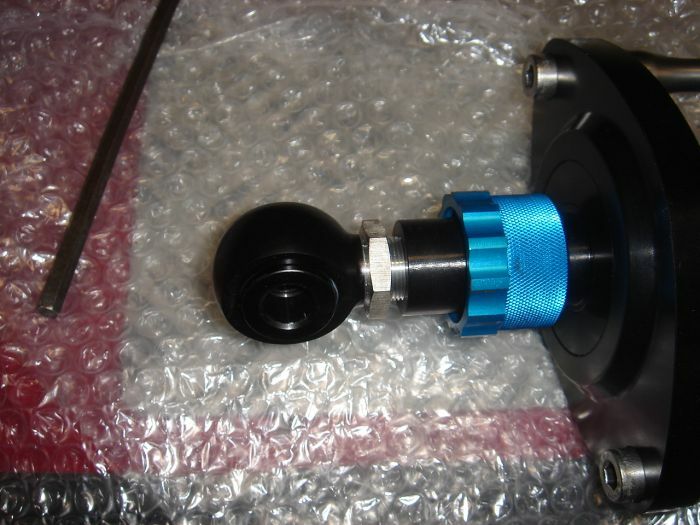 Tighten lock nut shock eye. 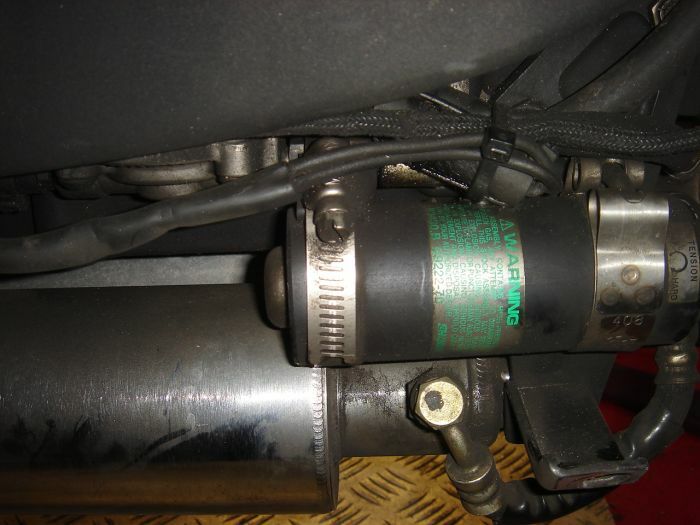 You can now twist the shock so it is clear off the exhaust and engine. 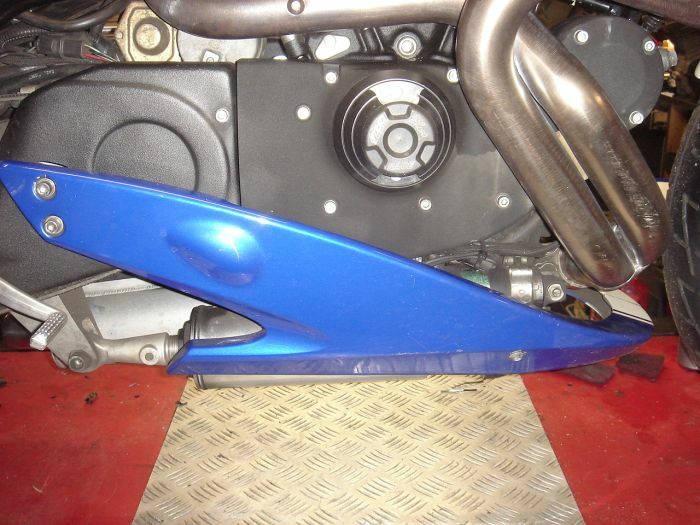 When adjusted remove jack/hoist / mini lift Twist the blue rebound adjuster so it is half way to 3/4 open ( 25 to 30 clicks from closed ) , and test the suspension, the bike should come up in a fast and controlled manner. 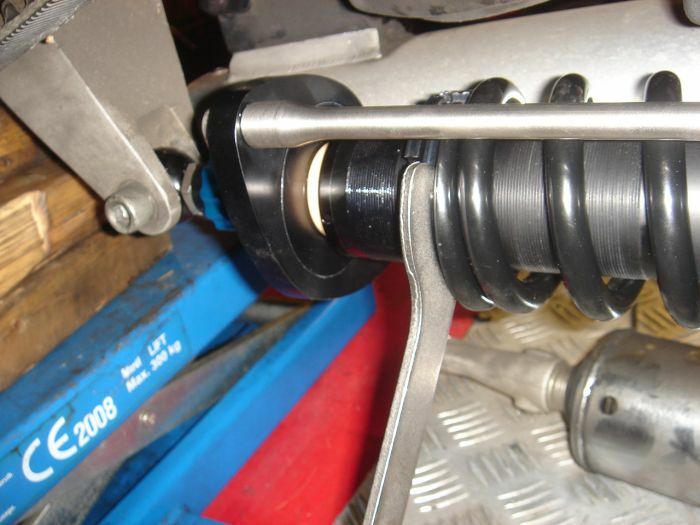 The shocks can be found on our website. for a period of five (5) year from the purchase date. unique service schedule card inlcuded with the original documentation. 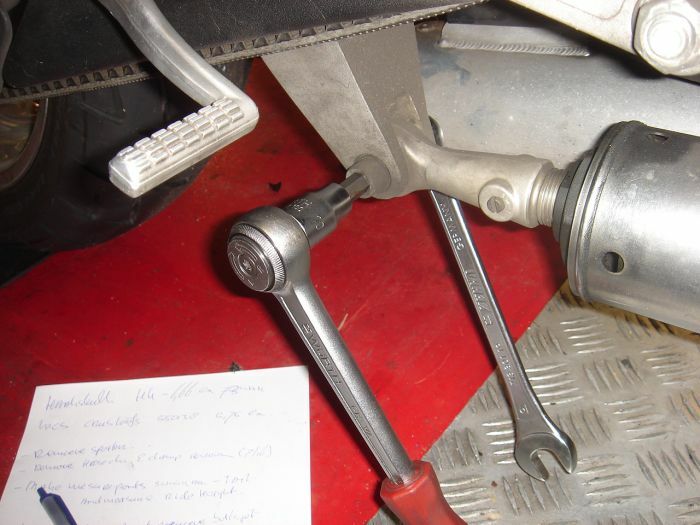 Any given warranty will be void if the shock is serviced outside of an authorised service centre. Always keep your invoice as proof of purchase and send a copy with all service or warranty returns. 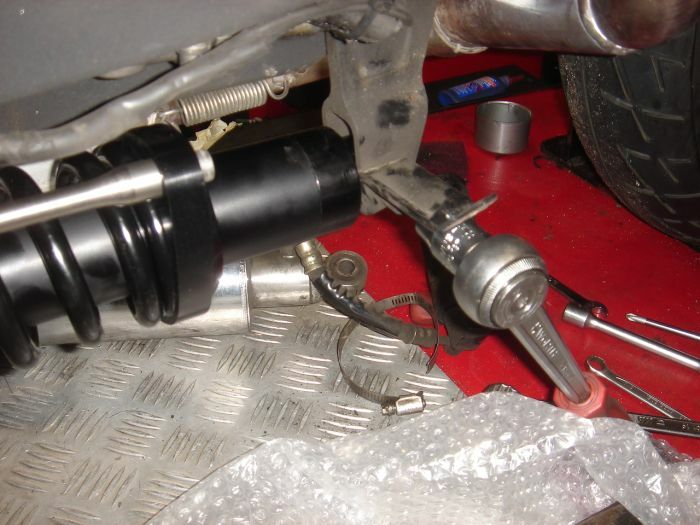 Always mention that your shocks are sent for warranty repair on all shipping papers. 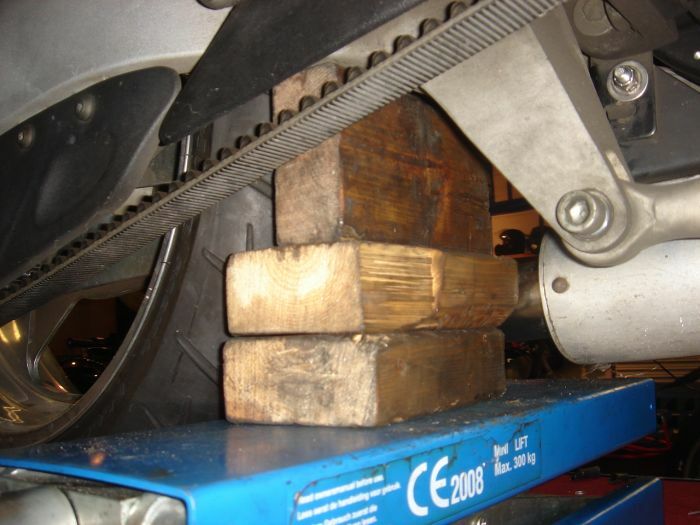 2- Carefully package your shock(s) to avoid damage during transportation.